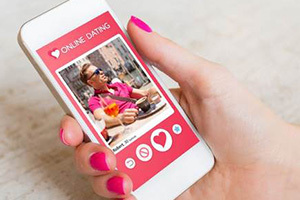 I'm Carmelia Ray, your online dating expert, with Top10BestDatingSites.co.uk. First date conversation is something a lot of people struggle with. Knowing what to say, when to say it, and how to say it will give you the confidence you need to have a great first date. Now that you've moved the conversation offline, here are a few key points to remember. Be prepared with some really great discovery questions. You want to avoid as much awkward silence as possible. These questions should be aimed at learning more about your date. Don’t ask anything that was obvious from their online dating profile. On the other hand, steer clear of politics or controversial subjects on the first date. Your question should be open-ended. These are questions that invite conversation and can't be answered with a simple yes or no. Show you’re interested by asking follow-up questions and offering your opinion or feedback once your date has shared their thoughts. Keep it natural. Be sure you keep the conversation tone positive and avoid talking about your exes. Don't complain about anything in your life that might not be working. You’re on a date, not at a therapist appointment. Everyone comes with some baggage, but it’s best not to unpack it on the first date. Choose common-interest conversation topics, include hobbies and activities you share, passions you have, travel, or foods you like. You could even talk about your bucket list. The point of your conversation is to build rapport. Now, keep in mind that first date conversation is not meant to get too deep. You should get a sense of how you feel about each other, just to see if there's a potential for something more. I'm Carmelia Ray, Founder of CarmeliaRay.com, inviting you to practice your first date conversations with Top10BestDatingSites.co.uk.